The love birds have been together since 2011 and have a son Maximilaino Adedeji, born in 2015. He announced the proposal on Snapchat @baddosneh, some hours after wishing her a ‘happy birthday’ on the same platform. 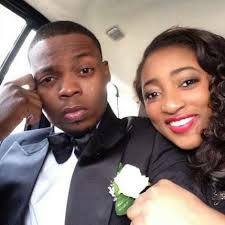 Olamide wrote: “My senior wife… Oya we have a wedding to plan.” Olamide, who raps mostly in Yoruba, has been described as ‘the voice of the ghetto’. The Bariga born artist recently released a seven minutes visual to his hit song ‘Science Student’ amidst controversies surrounding the message of the song. He recently bagged the ‘Listeners choice’ award at the just concluded Sound city MVP awards. Olamide came into limelight in 2011 with his debut album ‘Rapsodi’ before starting his label ‘YBNL’ in 2012.